HKCSS publishes SE Good Start - "A Practical Guide of Setting up a social enterprise" and "Choosing a Legal Form and Recommended Practices" to provide a series of practical information to newly established social enterprises. The contents cover the difference between social enterprise and ordinary enterprise, five Stages of setting up a Social Enterprise: Inspire, Incubate, Innovate, Invest, Impact, and will base on the existing organizational structure and mode of operation to provide data analysis and case reference, etc. SE Good Start comprises two books. You are welcome to request for hard copies or read the online version. 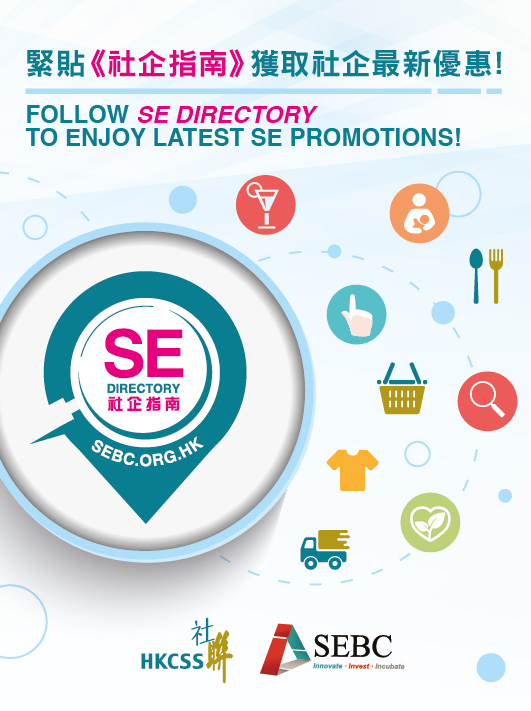 Besides, publishing SE Set up guide, SEBC also provide all-round support to social enterprise: include Start up SE consultation, capacity building programme and manage different start up funding. HKCSS actively engages various stakeholders to comment on different social issues and to explore social innovative ideas collectively.